A rotated Portugal side drew their final game in the UEFA Nations League group stage in controversial circumstances at the Estádio Dom Afonso Henriques in Guimarães. Fernando Santos rang the changes with top spot in the group already secure. The home side took the lead with just over a half an hour gone in the game when André Silva’s clever near post header beat Wojciech Szczęsny after Renato Sanches’ corner. A controversial penalty and even more dubious sending off for Danilo Pereira allowed Poland back into the game, Arkadiusz Milik finishing coolly from the spot after having to retake his initial shot to give Poland an important point. 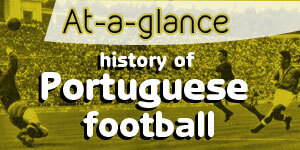 Earlier in the afternoon, the same two nations went head to head at U21 level in the northern tip of Portugal in Chaves. And the young Poles shocked the hosts by winning 3-1 to shatter the dreams of a talented Seleção squad and claim a berth at next summer’s European Championship tournament at the expense of Rui Jorge’s team. Fernando Santos was given a chance to rest some of his key players for this game against Poland. The home side may have only had pride to play for but for the visitors a point would mean they would take the final spot in EURO 2020’s qualifying pot 1 ahead of rivals Germany. Santos’ rotation saw starts for Beto, Kévin Rodrigues, Danilo Pereira, Renato Sanches and Rafa Silva. Raphaël Guerreiro fully recovered from his knock to start on the left side of midfield. In defence Pepe returned to partner Rúben Dias once again. Bernardo Silva picked up a knock in the Italy game, whereas Rúben Neves and Mário Rui also missed out through suspension. Despite the struggles at the San Siro last Saturday there was no shortage of confidence from the Seleção made evident by the in-form João Cancelo trying his luck from 40 yards away. Perhaps the positive mood of the nation was reflected by the fans in Guimarães enjoying a Mexican wave after barely 20 minutes of the game played. Renato Sanches’ revival continues as he looked to fill the boots of Bernardo Silva. His shot 32 minutes into the game forced a corner. The Bayern man’s low delivery found André Silva to flick on from the near post past Wojciech Szczęsny to put Portugal in the lead. Poland almost equalised from a set-piece of their own when Tomasz Kędziora headed against the bar although Kędziora almost certainly fouled Danilo in the process. Nevertheless, it was a warning against complacency for Portugal. After the break Portugal looked to be ready to coast to a comfortable victory until William Carvalho’s header back to his defence ended up in the path of Arkadiusz Milik. Milik was through on goal but Danilo did well to get back and win the ball back from the Poland striker. However, that wasn’t how Russian referee Sergei Karasev saw it, the referee pointed to the spot and dismissed Danilo Pereira. The replays showed that the Porto midfielder won the ball although he did have his hand on the Poland striker’s soldier. Whether or not it was a foul may divide opinion but a red card was incredibly harsh for a challenge that outside of the area would ordinarily not even warrant a yellow card. There was still more drama to come. Milik stepped and slotted his penalty well passed Beto, who got close to it but couldn’t stretch far enough. The referee asked for a retake but unfortunately for Portugal, the Napoli striker’s gave a repeat performance in beating Beto to equalise for Poland. To his credit Fernando Santos wasn’t satisfied with a 1-1 draw at home despite Portugal having little to play for. Instead of bringing on another midfielder Santos brought Bruma on to replace Rafa Silva as Portugal looked for a winner. Then as a last throw of the dice in the 87th minute he brought on national hero Eder to replace the goal scorer André Silva. However Portugal struggled to create against superior numbers and in truth both sides looked happy with a draw. Portugal can take solace in the fact they are the only team of the Group A countries to have gone through this entire stage unbeaten. Had the likes of Bernardo Silva and Rúben Neves been available, of course, the result may well have been different. Overall, the UEFA Nations League can only be called a success for Fernando Santos and his side and the finals in June await back here in the north of the country (Guimarães and Porto) against England, Netherlands and Switzerland. 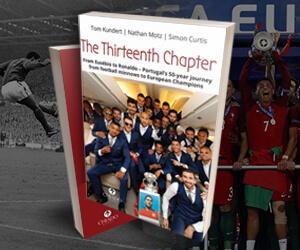 It will be difficult, but should Portugal play some of the football they played early on in the competition they could well become the tournament’s first ever winners. Portugal suffered an incomprehensible 3-1 defeat against Poland in the second leg of their UEFA European U-21 Championship play-off. After a convincing 1-0 win in Poland on Friday, Rui Jorge’s men were trailing 3-0 in the 24th minute and couldn’t convert their superiority thereafter into goals. Rafael Leão replaced João Carvalho before the break, Portugal getting back into the game with Diogo Jota heading in a Diogo Gonçalves cross in the 52nd minute. 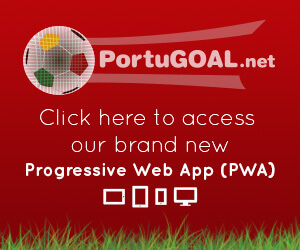 The hosts threw everything at Poland with countless crosses, Gonçalves hitting the post, but Portugal were unable to seriously test Kamil Grabara in goal. Portugal only have themselves to blame after requiring a home draw to qualify. João Félix tried hard but didn’t have as much impact as he had in previous games, Leão was dangerous off the bench and Gonçalves was a constant threat, but the early deficit was too large to overcome. I agree with Luis here - Rui Jorge should be sacked. This is an unacceptable failure based on the talent we have at youth level and the unnecessary chances he took in this game. Goncalves at RB?! While we're leading 1-0 from the first leg?! Why?! I've never been that big of a Rui Jorge fan to begin with - I personally believe our other youth coaches are better - so seeing him cut loose and one of the others given a promotion would make sense in my opinion. The talent was there and will continue to be there for the next few years. We need to make the most of it and bring one of these U21 titles home. And while I'm here: The Bernardo Silva thing persists at senior level. Why? What's it gonna take to see this man play in the middle consistently for Portugal? He's even spent more time in the middle for City this year and the team hasn't skipped a beat. He's not a winger, and we don't need him to be a winger. He's a creative midfielder, and these last two games reiterate the fact that we need him to be a creative midfielder. Yet Santos persists in this tactic... So frustrating. I'm also not sure how I feel about William playing higher up the pitch recently. Even though he has his moments up there, I feel like he's more effective at DM and brings the most out of everyone else at that position as well. So why suddenly change it? I don't get it. Especially with Renato Sanches picking it up and playing well lately, you'd think he'd be able to provide the physicality in midfield, while also being able to drive forward with pace. But anyway, I'm digressing I guess. It's nice that we won the group and get to host another tournament though. Love how everyone's writing us off already, and at HOME no less, against the likes of England, Switzerland, and the Netherlands for Pete's sake. Even without CR7 I like our chances. But we'll see. The way the English dont give Portugal respect and write them off is ridiculous. But that's the kind of arrogance you expect from them. The Netherlands wont be a pushover so hopefully Portugal will avoid them until the final! I'd like to see a Por/Sui rematch. If not, then Por/Eng/Ned will have to do. I just hope that Por doesn't play down to their levels.